There should be no debate about whether or not to use a shoe tree. 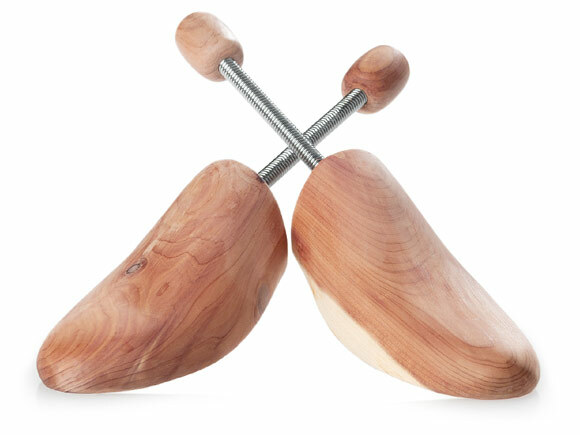 Simply put, if you would like to keep your footwear good looking and increase its lifetime, shoe trees are a must. Not all of them are created equal though: wooden shoe trees really are better than their plastic cousins and are more eco-friendly, to boot. The spring-loaded shoe tree is a classic item. Made of two pieces of cedar wood with a solid metal spiral inserted between the heel and toe pieces, its spring action ensures a snug fit in all men’s footwear. 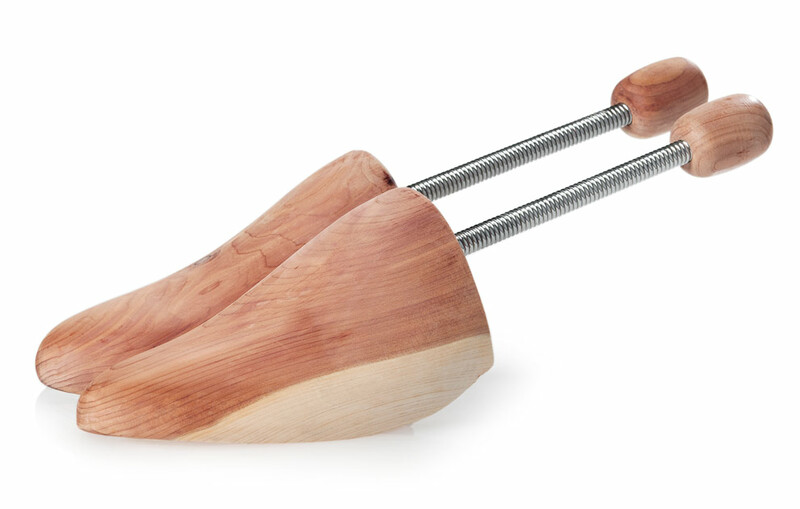 The ergonomic forepart fills the shoe’s vamp, while the heelpiece tucks inside the counter cap. 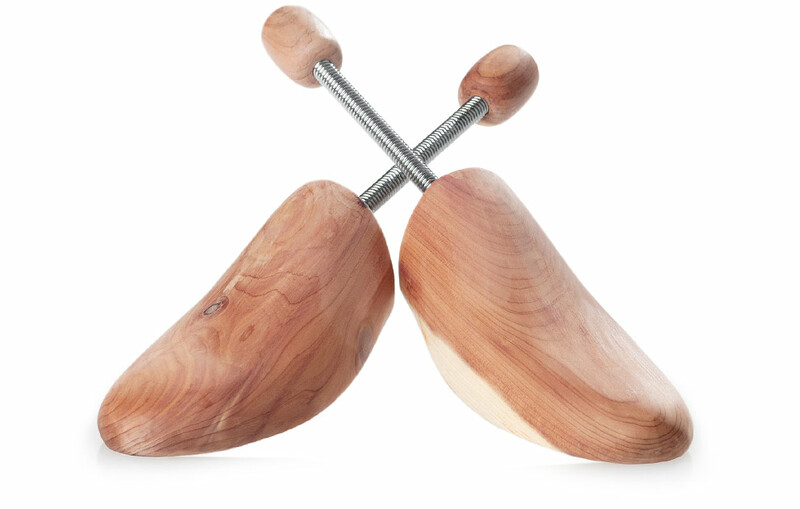 Our spring-loaded shoe tree is crafted from natural cedar – only eco-friendly woods are used for its production. 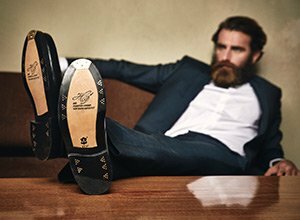 The soft and aromatic wood offers numerous shoe care benefits: It absorbs humidity from inside the shoe and protects the original shape. The wood’s natural Thujaplizin oil also repels wood worm and other pests. The pleasant aroma also guarantees a naturally good foot climate in your shoes. The lifetime of high-quality footwear depend not only on the way they are made, but also on how you take care of them. With our spring-loaded shoe tree you will be able to enjoy your footwear year after year. For a great result, just insert our shoe tree inside your footwear, right after taking it off. 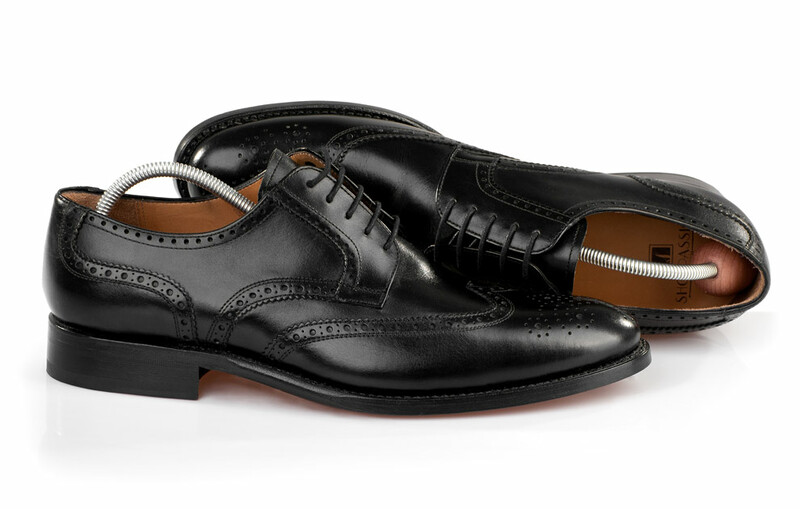 Warm leather is more flexible and allows an easier straightening of the insole and the vamp. This helps the shoe tree protect the shoe’s original shape by stopping the development of creases. Our spring-loaded shoe tree is available in the following double sizes: 36-37, 38-39, 40-41, 42-43, 44-45, 46-48 and 49-50. Please note: If you bought a shoe model crafted on the sharp pointed “extravagant shoe” last, please order our spring-loaded shoe tree in a smaller size. Shoes with a smaller shoe last are 337, 340, 341, 350, 351, 360 & 390.